There are many ways to sit. At The RoomPlace, we prefer sitting in comfort, on attractive, quality furniture. Whether that’s an armchair, a chaise lounge, a sofa or a sectional, we know we’ve got something for any kind of Chicago area furniture shopper. Regarding those latter two options, though, we know you may have some questions, so here’s a quick look at the difference between a sofa and a sectional, and when you may want to purchase one over the other. Most of us know what a sofa is, and could easily identify one in the wild. Essentially a the limo of armchairs, sofas come in many different shapes and styles, determined by features like its arms, back, and legs or skirt, if the sofa has one. English or club sofas have rounded arms that don’t reach the end of the seat, and no skirt. Tuxedo sofas have arms as high as their backs, with straight, clean lines and usually no skirt. The more traditional camelback style has rolled arms, a full skirt, and scalloped back. The Lawson style is one we’re probably all familiar with, featuring a low, square back, lowered arms, and straight square shaping throughout. 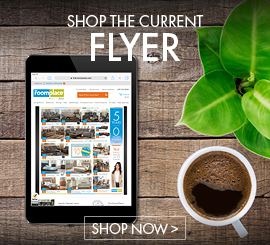 Of course, there are many more styles, which you could see upon setting foot into one of our many Illinois and Indiana furniture store locations. A sectional combines sofa and chair, and usually these come in one or more pieces that can be rearranged as needed. A sectional is usually a shorter sofa element paired with a longer, perpendicular armchair/chaise lounge hybrid. These are popular for smaller spaces or more minimalist approaches where you don’t want too many pieces or design elements in one room. So what do you think? Would a sofa or a sectional be better for your needs? 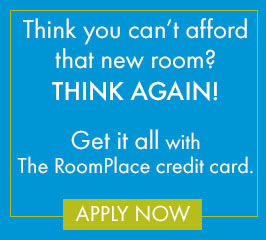 Let us at The RoomPlace help you figure it out! Getting Ready For the Next Big Food Season: Is Your Dining Room Up For The Challenge?